The official 2017-2018 DVSA driving test pass rates and addresses for your local driving test centres North West England. Want to know the most recent 2018 driving test pass rates and routes for your local practical driving test centre? Date updated: 19th October 2018. Bad weather and the practical driving test. Please remember to check your confirmation letter or email for any changes to your test centre address prior to your test. The Driving Test " Secret"
If you really want to pass your Driving Test 1st time? Click here to find out how the DVSA ADI devised The Driving Test “Secret” will help you pass your practical driving test. 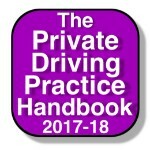 Pass with the new 2017-18 edition of The Private Driving Practice Handbook & SAVE £££s on learning to drive. DVSA Approved Driving Instructor results have shown that you are over 25% more likely to pass your UK Practical Driving Test if you use The Driving Test Secret Revision Cards. Shropshire DVSA Practical Driving Test Centres. Your local driving instructor, email us to add your driving school here. Oswestry Practical Driving Test Centre. Please note there are no toilets available at this test centre. There is car parking available. New 2017-2018 Car Pass Rate is only 50.5% or by simply using The Driving Test Secret you can this increases to 75.5%*. Click here for further information on how to pass your driving test 1st time by using the DVSA ADI devised The Driving Test “SECRET”. “Thank you so much for recommending The Driving Test Secret it was great preparation for the test and really helped to beat my nerves”. Click here for information on how you can have extra Driving Lesson for Free to help you pass your driving test. Shrewsbury MPTC Practical Driving Test Centre. New 2017-2018 Car Pass Rate is only 45.8% or by simply using The Driving Test Secret you can this increases to 73.8%*. Click here for further information on how to pass your driving test 1st time by using DVSA ADI devised The Driving Test “SECRET”. “Passing my driving test 1st time is great and was made that much easier than I thought it would be thanks to The Driving Test Secret Revision Cards”. Telford Practical Driving Test Centre. New 2017-2018 Car Pass Rate is only 44% or by simply using The Driving Test Secret you can this increases to 69%*. Click here for further information on how to pass your driving test 1st time by using DVSA ADI devised The Driving Test “SECRET”. It was really simple to download the “Secret” to my phone which meant I could use the Driving Test “Secret” wherever I was. Whitchurch Practical Driving Test Centre. New 2017-2018 Car Pass Rate is only 49.2% or by simply using The Driving Test Secret you can this increases to 74.2%*. Click here for further information on how to pass your driving test 1st time by using DVSA ADI devised The Driving Test “SECRET”. Cheshire DVSA Practical Driving Test Centres. Chester MPTC Practical Driving Test Centre. New 2017-2018 Car Pass Rate is only 47% or by simply using The Driving Test Secret you can this increases to 72%*. Click here for further information on how to pass your driving test 1st time by using DVSA ADI devised The Driving Test “SECRET”. “I just used the Secret Revision Cards for a few minutes every day and they really worked”. Click here for information on how you can have extra Driving Lesson for Free to help you pass your driving test by using DVSA ADI devised The Driving Test “SECRET”. Crewe Practical Driving Test Centre. New 2017-2018 Car Pass Rate is only 54.4% or by simply using The Driving Test Secret you can this increases to 79.4%*. Click here for further information on how to pass your driving test 1st time by using DVSA ADI devised The Driving Test “SECRET”. Macclesfield Practical Driving Test Centre. New 2017-2018 Car Pass Rate is only 48.8% or by simply using The Driving Test Secret you can this increases to 73.8%*. Click here for further information on how to pass your driving test 1st time by using DVSA ADI devised The Driving Test “SECRET”. “The Driving Test “Secret” really helped. I wasn’t anywhere near as nervous as I thought I would be. I will recommend the “Secret” to all my friends”. Northwich Practical Driving Test Centre. New 2017-2018 Car Pass Rate is only 50.1% or by simply using The Driving Test Secret you can this increases to 75.1%*. Click here for further information on how to pass your driving test 1st time by using DVSA ADI devised The Driving Test “SECRET”. Widnes Practical Driving Test Centre. New 2017-2018 Car Pass Rate is only 46.2% or by simply using The Driving Test Secret you can this increases to 71.2%*. Click here for further information on how to pass your driving test 1st time by using DVSA ADI devised The Driving Test “SECRET”. Lancashire DVSA Practical Driving Test Centres. Atherton MPTC Practical Driving Test Centre. New 2017-2018 Car Pass Rate is only 50.3% or by simply using The Driving Test Secret you can this increases to 75.3%*. Click here for further information on how to pass your driving test 1st time by using DVSA ADI devised The Driving Test “SECRET”. Blackpool Practical Driving Test Centre. New 2017-2018 Car Pass Rate is only 45.6% or by simply using The Driving Test Secret you can this increases to 70.6%*. Click here for further information on how to pass your driving test 1st time by using DVSA ADI devised The Driving Test “SECRET”. Chorley Practical Driving Test Centre. New 2017-2018 Car Pass Rate is only 56.9% or by simply using The Driving Test Secret you can this increases to 81.9%*. Click here for further information on how to pass your driving test 1st time by using DVSA ADI devised The Driving Test “SECRET”. Blackburn with Darwen MPTC Practical Driving Test Centre. New 2017-2018 Car Pass Rate is only 42.3% or by simply using The Driving Test Secret you can this increases to 67.3% *. Click here for further information on how to pass your driving test 1st time by using DVSA ADI devised The Driving Test “SECRET”. Heysham Practical Driving Test Centre. New 2017-2018 Car Pass Rate is only 53.3% or by simply using The Driving Test Secret you can this increases to 78.3%*. Click here for further information on how to pass your driving test 1st time by using DVSA ADI devised The Driving Test “SECRET”. Nelson Practical Driving Test Centre. New 2017-2018 Car Pass Rate is only 53.2% or by simply using The Driving Test Secret you can this increases to 78.2%*. Click here for further information on how to pass your driving test 1st time by using DVSA ADI devised The Driving Test “SECRET”. Preston Practical Driving Test Centre. New 2017-2018 Car Pass Rate is only 54.6% or by simply using The Driving Test Secret you can this increases to 79.6%*. Click here for further information on how to pass your driving test 1st time by using the DVSA ADI devised The Driving Test “SECRET”. Cumbria DVSA Practical Driving Test Centres. Barrow In Furness Practical Driving Test Centre. New 2017-2018 Car Pass Rate is only 53.6% or by simply using The Driving Test Secret you can this increases to 78.6%*. Click here for further information on how to pass your driving test 1st time by using DVSA ADI devised The Driving Test “SECRET”. Carlisle MPTC Practical Driving Test Centre. New 2017-2018 Car Pass Rate is only 47.3% or by simply using The Driving Test Secret you can this increases to 72.3%*. Click here for further information on how to pass your driving test 1st time by using DVSA ADI devised The Driving Test “SECRET”. Kendal Practical Driving Test Centre. New 2017-2018 Car Pass Rate is only 62.6% or by simply using The Driving Test Secret you can this increases to 87.6%*. Click here for further information on how to pass your driving test 1st time by using the DVSA ADI devised The Driving Test “SECRET”. Workington Practical Driving Test Centre. New 2017-2018 Car Pass Rate is only 51.1% or by simply using The Driving Test Secret you can this increases to 76.1%*. Click here for further information on how to pass your driving test 1st time by using the DVSA ADI devised The Driving Test “SECRET”. Greater Manchester DVSA Practical Driving Test Centres. Bolton Practical Driving Test Centre. New 2017-2018 Car Pass Rate is only 49.7% or by simply using The Driving Test Secret you can this increases to 74.9%*. Click here for further information on how to pass your driving test 1st time by using the DVSA ADI devised The Driving Test “SECRET”. Hyde Practical Driving Test Centre. New 2017-2018 Car Pass Rate is only 57.2% or by simply using The Driving Test Secret you can this increases to 82.2%*. Click here for further information on how to pass your driving test 1st time by using the DVSA ADI devised The Driving Test “SECRET”. Cheetham Hill – Manchester Practical Driving Test Centre. New 2017-2018 Car Pass Rate is only 46.3% or by simply using The Driving Test Secret you can this increases to 71.3%*. Click here for further information on how to pass your driving test 1st time by using the DVSA ADI devised The Driving Test “SECRET”. Chadderton Practical Driving Test Centre. New 2017-2018 Car Pass Rate is only 33.6% or by simply using The Driving Test Secret you can this increases to 58.6%*. Click here for further information on how to pass your driving test 1st time by using the DVSA ADI devised The Driving Test “SECRET”. Bredbury Mptc Practical Driving Test Centre. New 2017-2018 Car Pass Rate is only 41.7% or by simply using The Driving Test Secret you can this increases to 66.7%*. Click here for further information on how to pass your driving test 1st time by using the DVSA ADI devised The Driving Test “SECRET”. Rochdale Practical Driving Test Centre. New 2017-2018 Car Pass Rate is only 38.1% or by simply using The Driving Test Secret you can this increases to 63.1%*. Click here for further information on how to pass your driving test 1st time by using the DVSA ADI devised The Driving Test “SECRET”. Sale Practical Driving Test Centre. New 2017-2018 Car Pass Rate is only 50.9% or by simply using The Driving Test Secret you can this increases to 75.9%*. Click here for further information on how to pass your driving test 1st time by using the DVSA ADI devised The Driving Test “SECRET”. West Didsbury Practical Driving Test Centre. New 2017-2018 Car Pass Rate is only 45% or by simply using The Driving Test Secret you can this increases to 70%*. Click here for further information on how to pass your driving test 1st time by using the DVSA ADI devised The Driving Test “SECRET”. Merseyside DVSA Practical Driving Test Centres. Garston Practical Driving Test Centre. New 2017-2018 Car Pass Rate is only 40.1% or by simply using The Driving Test Secret you can this increases to 65.1%*. Click here for further information on how to pass your driving test 1st time by using the DVSA ADI devised The Driving Test “SECRET”. St Helens MPTC Practical Driving Test Centre. New 2017-2018 Car Pass Rate is only 43.7% or by simply using The Driving Test Secret you can this increases to 68.7%*. Click here for further information on how to pass your driving test 1st time by using the DVSA ADI devised The Driving Test “SECRET”. Norris Green Practical Driving Test Centre. Southport Practical Driving Test Centre. New 2017-2018 Car Pass Rate is only 49% or by simply using The Driving Test Secret you can this increases to 74%*. Click here for further information on how to pass your driving test 1st time by using the DVSA ADI devised The Driving Test “SECRET”. Upton Practical Driving Test Centre. Wallasey Practical Driving Test Centre. New 2017-2018 Car Pass Rate is only 42.1% or by simply using The Driving Test Secret you can this increases to 67.1%*. Click here for further information on how to pass your driving test 1st time by using the DVSA ADI devised The Driving Test “SECRET”. 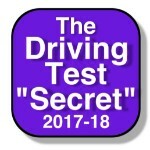 * Or –% higher (driving test centre pass rate) if you use The Driving Test “Secret” is based on the findings of an experienced DVSA ADI who saw their pupils pass rate increase by over 25% when they started recommending The Driving Test Secret & Secret Revision Cards to all of their pupils. New 2017-2018 edition for the UK practical driving test. Cheaper car insurance for new and young drivers. We all want to get the best deal when arranging car insurance. Whether it is insurance for your first car or you are looking at your renewal and thinking ouch that’s a lot of money, we can show you how to get the best deal. Our friends at Your Online Driving School have a great article explaining how to reduce the cost of your car insurance and how to get the best quote. So click here to find out how to get a great deal on your car insurance. Need to book your test? Click here to book your Practical Driving Test. This is official online booking site, please be aware there are many sites that charge you extra to book your test through them. We would strongly suggest only booking your practical driving test through the official site. The routes listed are the lastest routes the DVSA published for your local test centre. As the DVSA have currently stopped publishing new routes the routes and even in some instances the test centre location may have changed. Driving test pass rates explained. The local driving test centre pass rates quoted here are gathered from the Driving & Vehicle Standards Agencies (DVSA) own official statistics. Each time a candidate (learner) takes a UK practical driving test, the result and any marks, both driving faults and any failure marks are recorded and sent to the DVSA’s head office where the figures are collated both locally for that test centre and also nationally. The DVSA no longer openly publish these figures on their website, however, we have been able to obtain these official figures and have published them here as we feel they are of interest to anyone waiting to take their practical driving test. Understanding your local driving test centre pass rates. An average pass rate of 48% would mean that if 100 candidates take the practical driving test on any given day then on average only 48 will pass and 52 candidates will fail! The most common driving faults (16 of these and you will fail) are; incorrect use of gears and not using the cars mirrors correctly. Regarding the failure marks (only 1 and you fail) the common causes are a lack of planning and awareness, plus the poor judgement of other traffic and road users. So what can you do to help yourself pass? The simple answer is, of course, to drive well and to the best of your ability, however, how do you make sure you drive to the best of your ability on the driving test? Thankfully learners now have so many excellent learning aids to help them pass, such as the excellent Driving Test Secret and Driving Test Secret Revision Cards. If only every learner would take the little time and effort needed to use the “Secret” then we could quickly see the local and national pass rates increase dramatically. The reason is that although some of the failures are due to lack of practice, many are simply down to a lack of preparation for the driving test, something The Driving Test “Secret” can quickly help to address. So let us help you to help yourself. Good luck with your test. 4testpass.com Your Driving Test Experts. Helping you pass your practical driving test 1st time. “It was really simple to download the “Secret” to my phone which meant I could use the Driving Test “Secret” wherever I was”. The Driving Test “Secret really helped. I wasn’t anywhere near as nervous as I thought I would be. I will recommend the Secret to all my friends”.